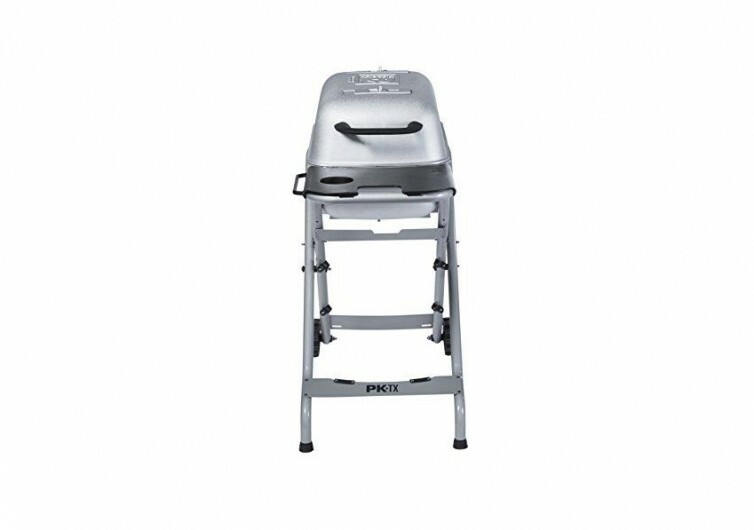 If you already have the Original PK Grill & Smoker Capsule, you may want to have the PK TX Folding Stand. This will complete your grilling and smoking adventures. 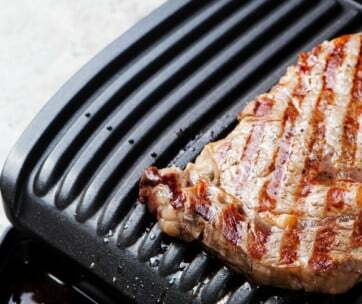 This accessory comes with its own set of innovations that can make grilling more fun. Whether it’s in your backyard, the picnic grounds, or the beach, the PK TX raises your Grill and Smoker to a more comfortable and convenient level. 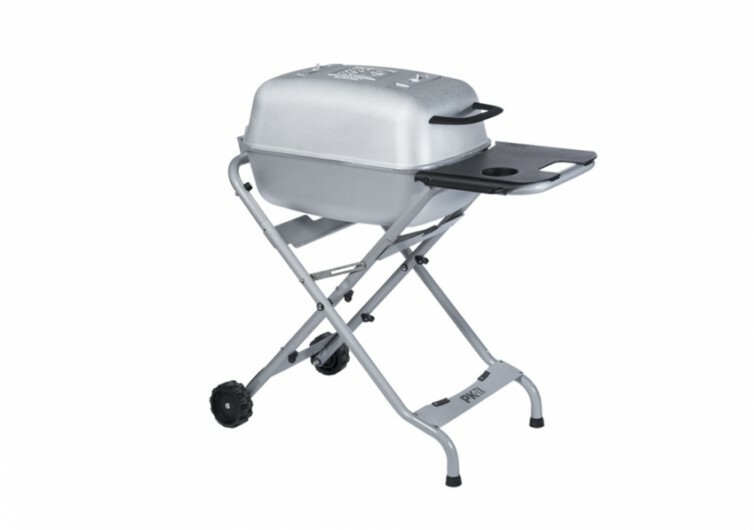 Standing some 30 inches when unfolded, the PK TX is a neat platform that can make grilling more comfortable. 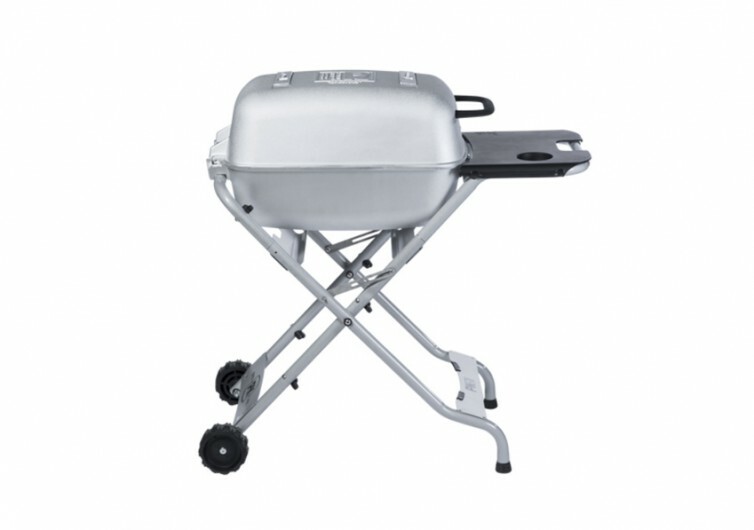 This raises the Grill and Smoker Capsule to a just below the waist, depending on how tall you are. At the very least, there’s no need to squat while grilling. There’s also no need to look for a more stable surface to put the Capsule onto. The PK TX provides both stability and comfort at this height. Adding to the convenience of the Folding Stand is a pair of 5-inch wheels. The only downside to this is that it doesn’t come with a swiveling mechanism. In hindsight, having a fixed axle guarantees better stability since the wheels stay in one orientation. The other feet come with a curved design, allowing for greater stability on the ground. The PK TX also comes with a side tray made of Durabilium material. It comes integrated with an accessory bar and a cup holder for your drinks. There is also a pair of ashtrays on the lower section of the PK TX. Six bungee cord attachment points complete the system. 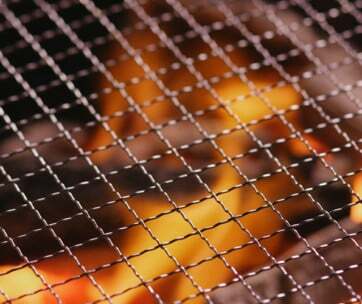 It is important to understand that the PK TX only works with the PK Grill & Smoker Capsule. 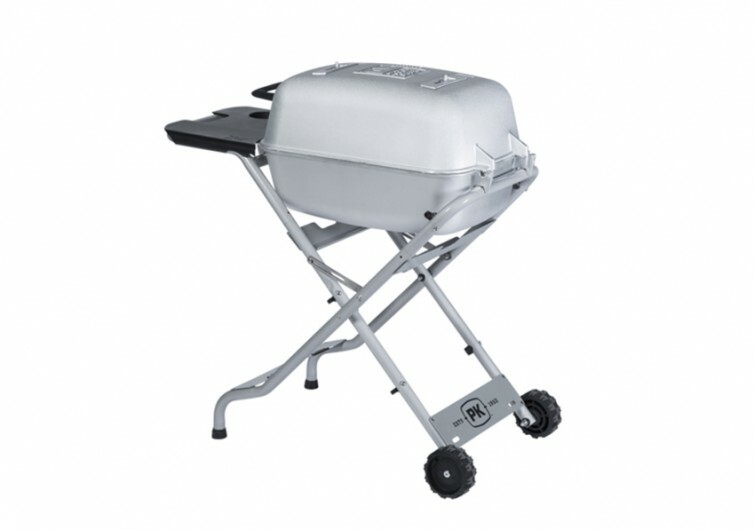 It is unknown if you can put other griller systems on this contraption. 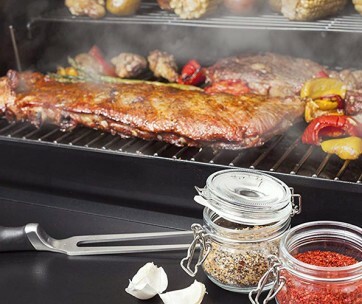 Nevertheless, it’s still a worthy accessory to include in your backyard grilling adventures and a perfect gift for men who love to BBQ.